I've always known that the best way to learn something really well is to teach it. You think you know something but until you put it into words for someone else to understand, you don't know if you know it properly. And you might find you don't. My point? While writing my forthcoming book, Write a Great Synopsis - An Expert Guide, I have learnt something extra about how to write synopses. I learnt it from myself, I hasten to add, but it was the act of trying to explain everything about synopses as clearly and fully as possible that showed me a truth I hadn't been aware of. So, am I going to make you wait till January when WAS comes out? Of course I'm not! I wouldn't be so cruel. My lightbulb moment came when I was preparing to write a synopsis of Wasted, as an example to go in the book. I enjoyed writing it and it took about fifteen minutes, perhaps less. "Well, this is a doddle," I thought. "I always knew people stressed too much about synopses." I wondered why I found it easy. And then I realised. I'd forgotten the order of events in Wasted. I'd forgotten everything except the most important events, characters and emotions, the core drivers of the book, the skeleton and the skin. I'd (accidentally) deleted from my memory everything that shouldn't be in a synopsis. And I didn't look at the book once while writing the synopsis because a) I didn't need to, which is the point and b) I'm lazy. This made me think of two analogies which I'd already used in Write a Synopsis but which now became clearer. If your synopsis were a human being, we'd see the skin and have a sense of the strong skeleton but we would not see the organs and veins, because the vital gleam in the eyes would be sufficient evidence that the body was properly constructed. Also, you need to include the ending, because otherwise you've got a body without feet. 1. Who is on the journey and why? 2. What is the intended destination and why? 3. What terrible thing will happen if they don't reach their destination and who or what is trying to stop them? 4. What happens to knock the travellers off course? 5. What characteristics and tools do they use to get back on course? 6. What is their actual destination and who survives and with what injuries? 3. What they said to each other. 4. What the scenery was like. 5. The people they met along the way, unless without them we can't understand the book. 6. The route in order. Because my dyslexic-behaving brain can't do sequences, I can never remember what order things happened in, or even that half of them did. This makes my brain perfect for writing synopses and the amazing thing is that until I tried teaching you lot about all this I didn't even know my brain was perfect for anything. So my message to you today is: when writing your synopsis, cultivate a really crappy memory like mine, a memory that forgets everything except essence. To paraphrase all of our mothers: if you can't remember, it can't have been very important. And if it's not important, it has no place in your synopsis. Therefore: whatever you do, don't look at your book when writing your synopsis. Your book has no place there. Hi Nicola! Phew! It's a minefield isn't it?? Oh the hoops we have to jump through (held by people we have never met) in order to get our little book published. And there's me stopping drinking (or reducing would be closer to the truth...) in order to ensure I had a clearer head to address the task of seeking a publisher. You have persuaded me that perhaps I need to get back on the vino in order to return to my normal befuddled state so that I may produce a worthy synopsis. Ah, the sacrifice of the struggling author! Yes, for a good synthesis one needs distance. Space of time in this case that filters out the insignificant details. Another way to do it is to start with your synopsis first and use it as a roadmap to write the book. What do you think, Nicola? Brilliant timing, I'm writing a synopsis at the moment. Thanks! Oh, b****r. This means, 'cut stuff out', doesn't it? *rips up synopsis number 10 and cries*. Actually, that's very helpful - thanks, Nicola. Thanks for that Nicola! My novel is about a journey so your comments are very apt. Wahey, I already have a really crap memory! I have to write a synopsis of my novel pretty soon, so thank goodness for that. Great post, Nicola. Love that, synopsis has to have an ending or it's like a body without feet, brilliant! I hear you! The 15 minute bit hit home too. I looked back at my first every synopsis, since discarded, and realised that it's much closer to your suggestions than the one I've worried and cut and worried and cut and then posted on your site for critique. Won't manage it in 15 minutes but maybe I'm closer than I thought...? I love the idea that the order of events is not important to a synopsis. Pieces can be pulled out of the timeline, swapped around and even subverted, so long as they still generate a strong feeling for what's going on in the book. Although the synopsis itself has to tell a story, it doesn't have to be exactly the same one. I find that awfully liberating. It strikes me as a kind of lying, and as a writer I'm growing increasingly comfortable with that, so long as I know that's what I'm doing. Perhaps, then, the synopsis has to be true, not to the plot or characters themselves but to the point of the story and the main pillars that hold it up. Forget the book. Love it. And so true, Synopsis is about the key elements, the turning points, the climax and the resolution. Prove there is a properly crafted, interesting story. I've written a few synopsis, but have bookmarked this page and consult when the next book is finished. Thanks Nicola. Thanks Nicola, I am now looking at the synopsis differently...Great advice! 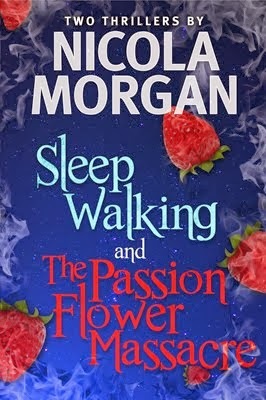 Nicola - this has to be one of the best guides to writing novel synopses I've read to date. I love the simplicity of your guide and particularly the recommendation to forget most of the book. I guess an analogy with project planning is to pull out the CRITICAL PATH of the novel and forget all the subplots and characters.